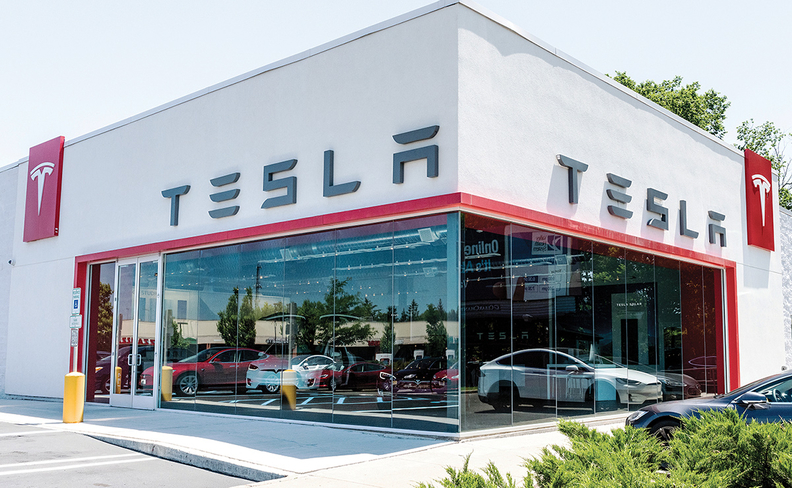 Dealers in numerous states have long challenged Tesla's business practice of selling vehicles without a franchise system. For the fifth time in less than six years, the California New Car Dealers Association sent a letter of complaint to the state's Department of Motor Vehicles last week regarding Tesla's advertising practices. The association contends Tesla's advertisements violate state and federal advertising and consumer protection laws. Dealers in numerous states have long challenged Tesla's business practice of selling vehicles without a franchise system -- a grievance that intensified with Tesla's decision to primarily move to online sales. "Our end goal is to ensure compliance with the law so that consumers and ethical dealers have a level playing field," Brian Maas, president of California dealer association, told Automotive News. • Advertising of vehicle price, payment amounts and finance terms. The association cited tweets by Tesla CEO Elon Musk that advertised vehicle prices without the required disclosures. • Advertising vehicle Autopilot systems even though full self-driving capabilities are not yet available. • Accepting consumer deposits before the vehicle is available and refusing to refund deposits before vehicle delivery. • Using unlicensed salespeople as part of a customer referral program. • Conducting illegal vehicle raffles in which Tesla owners who refer new customers are entered to win a Founders Series Model Y and a Founders Series Roadster supercar. The California dealer association also wrote to the DMV in September 2017, July 2016, August 2015 and September 2013 calling for an investigation of Tesla's advertising and sales practices. California law does not prohibit Tesla from building and selling vehicles, but because Tesla is licensed in California as a manufacturer and dealer, the association says it should comply with the same advertising and consumer protection laws that dealers adhere to. Maas said the California dealer association has no problem with Tesla selling cars in the state, but "our concern has been how they're selling cars. And that's the nature of our complaints. Are they following California law? And in our view, they're not," Maas said. A DMV spokesman said the department "is investigating the complaint and will release its findings when completed." Tesla did not respond to Automotive News' request for comment. The DMV's vehicle code governs much of California dealerships' operations. Maas wrote in the letter that the laws within the vehicle code were designed to protect California consumers and promote a fair vehicle-sales market. "But they also protect ethical dealers from unethical dealers and other nefarious actors," Maas added. The industry suffers if those laws are not enforced, he said. "Enforcement encourages compliance, which fosters a healthier industry and a marketplace in which consumers can confidently participate," Maas said. The DMV has not taken public action to prohibit Tesla from illegally advertising, Maas said. The California dealer association educates its 1,200 dealer members on compliant advertising practices, but, according to Maas, "Tesla's continued, unchecked illegal behavior makes our task much more difficult and puts the California motoring public at risk."